This weekend sees the opening of Malaysia's much awaited yearly flower and garden festival, Floria 2014 in a new location at Precinct 4, Putrajaya. This year's theme plant are Begonias, with the show title being 'Mesmerizing Colours' (can someone please tell Floria not to use both US English and UK English spelling in one sentence!). Another new thing introduced this year, besides the new venue, are entrance fees of RM3 per adult and RM1 for a child aged 7-12. Floria 2014 will run from 14th June to 22nd June 2014, with opening hours from 9am - 10.30pm on Mondays to Thursdays and from 9am - 12midnight on Friday, Saturdays and Sundays. There are several thematic 'gardens' within the show grounds, including Wedding Garden, Showcase Garden, Royal Garden, Tea Party Garden and so on, not forgetting the air-conditioned, indoor Floral Pavilion. 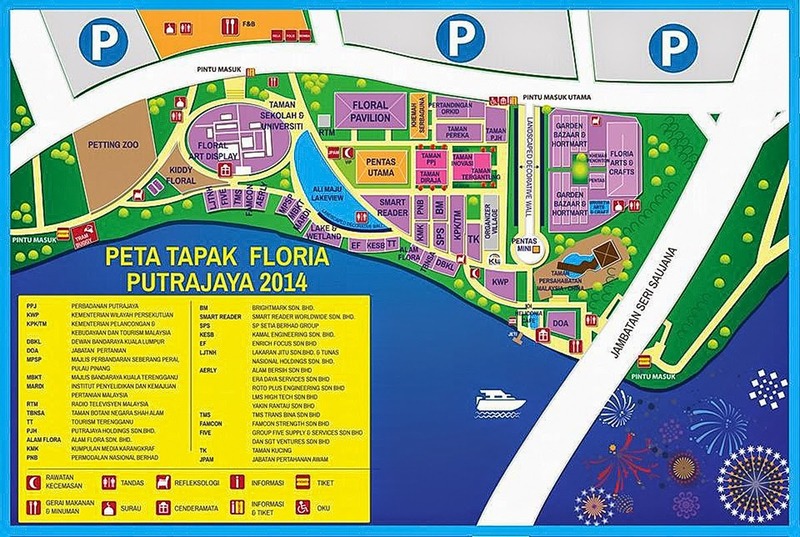 The new showground for Floria 2014 near the Seri Saujana Bridge, Precinct 4, Putrajaya. 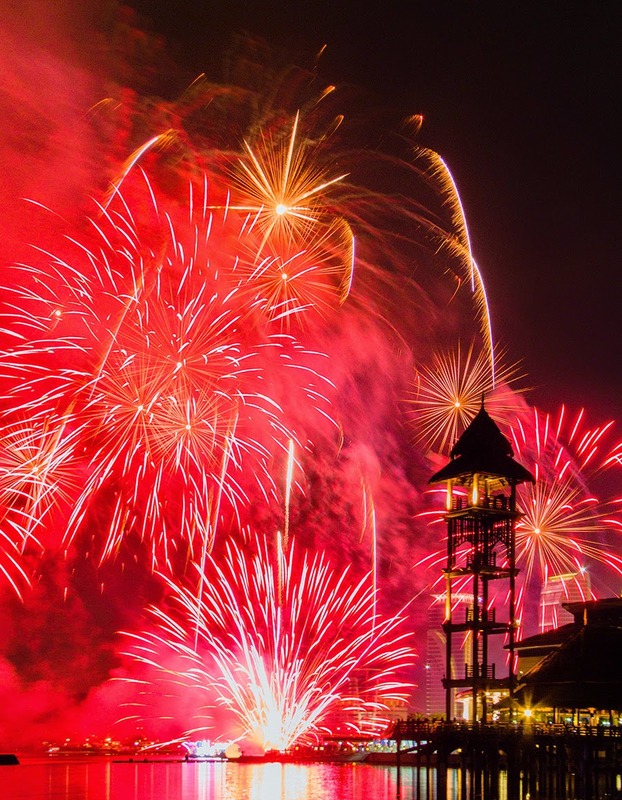 As with previous Floria, the nights will see Tourism Malaysia's Magic of the Night parade of illuminated boats cruising on Putrajaya Lake and fireworks show. If you are going on the first two days, do expect a large crowd as it is the end of the school holidays, and parents are likely to take their kids there. You need to know Putrajaya well enough to find the new site as signage are hopeless and more confusing than before since Floria and Magic of the Night are at two separate locations. The Waze app thingy they posted will lead you in circles (friends have experienced it) so don't bother. Floria 2014 site is very hot due to weather and probably the terrain plus the lack of mature trees so bring an umbrella or hat if you are going during the day. A lot of the flower displays are facing the hot afternoon sun directly and fading fast. Even those in the indoor pavilion are wilting. I suspect teething problems with cooling, misting etc is making the plants go fast. The major food and beverage area is across the road. Do keep your tickets if you go out so that you can come in again and not pay a second time. Also food choices is worst than last year's Floria. The expo site is now spread across a wider, so expect a lot of walking. Plant choices at the bazaar is nothing much to shout about, unless you have just started gardening and are wowed by any or every plant. Magic of the Night is at Putrajaya Marina, Precinct 5, beside Pullman Putrajaya Hotel. Fireworks only on the 14th, 20th, 21st and 22nd. A strange move since this is Visit Malaysia Year 2014. Make sure you give yourself ample time to get to your car from Floria site, drive to Precinct 5 area, find parking and get to the stand. Lots of space though for people to sit. 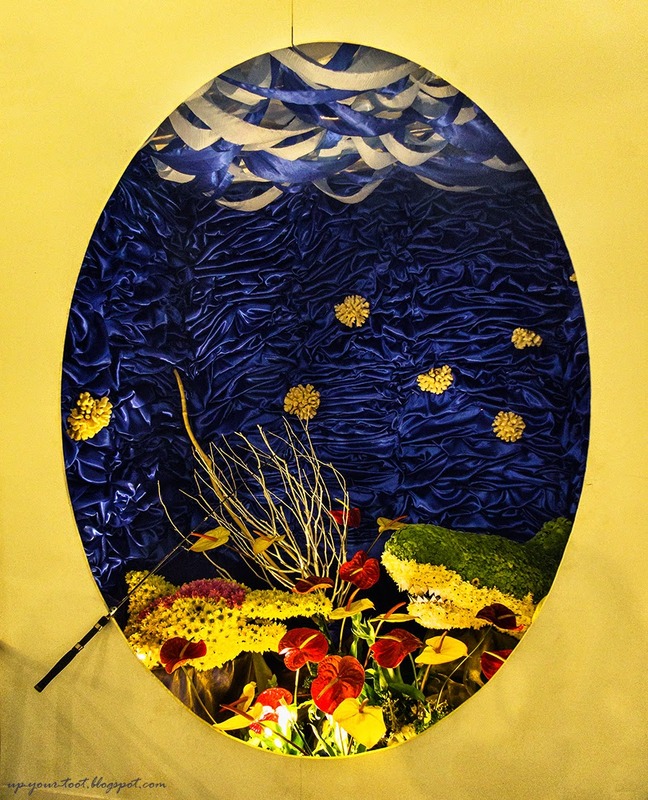 Click here for more photos of Floria 2014 and Magic of the Night 2014 lighted flotilla. Looks like a nice weather meronda-ronda. Hahaha. So far the plants sold there takde yang unik or special, the usual plants je. Haven't seen Manglietia insignis on sale, will keep an eye out. 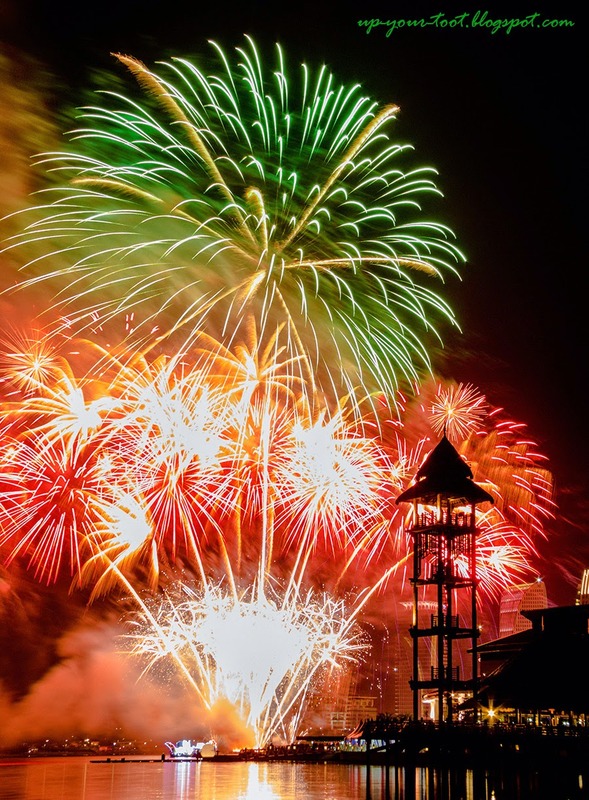 The fireworks for Magic of the Night is on the 14th, 20th, 21st and 22nd only. Also, this year we have floats from Penang and Selangor! We should have come on Saturday so that the kids could enjoy the floats. This year nothing special because some vendors told me it was hard to get enough supply across border this time no stock. Yeah, you should have joined us at the Magic of the Night site. Even got clappers for Bob to clap along with the show, lol. Many ppl commented that the stalls were nothing special. Lutut dah menggeletar nak pergi jalan ke float side tu hehehe...sempat naik boat cruise je lah cos they were half price. Hehehe just in case if you jalan-jalan dekat nursery nampak Mangllietia insignis ingat-ingat I ni hehehe..
Kan, jauh sangat tempat float tu. Okie, kalau ternampak Mangletia insignis, will buy it, hehehe.